Moving between the speech and silence of a woman struggling to speak freely, Ruth Behar embarks on a poetic voyage into her own vulnerability and the sacrifices of her exiled ancestors as she tries to understand love, loss, regret, and the things we keep and carry with us. Behar’s vivid renderings of wilted gardens, crashing waves, and firefly-lit nights recall the imagery of her inspiration, Dulce María Loynaz, who is often known as the Cuban Emily Dickinson. Presented in a beautiful bilingual English-Spanish edition—Behar serves as her own translator—Everything I Kept/Todo lo que guardé will haunt readers with the cries and whispers which illuminate the human spirit and the spectrum of emotions that make for a life and lives well-remembered. 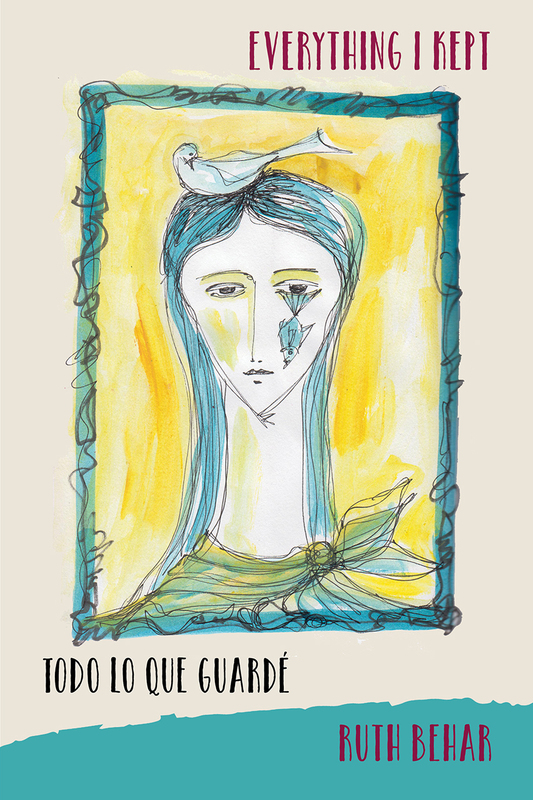 "Behar’s latest volume of poetry, Everything I Kept: Todo Lo Que Guardé, embodies her ongoing desire to present the duality of her history. . . . Behar’s work beautifully encapsulates the Cuban Jewish conundrum of shuffling between two distinct homelands."